This timeline outlines events surrounding the poem by Elizabeth Barrett Browning (EBB) entitled "The Cry of the Children." Please see the related COVE geospatial map titled "'The Cry of the Children' in Elizabeth Barrett Browning's World and Our Own." Both the timeline and that map were created as part of a student exhibition on "The Cry of the Children" by Dr. Joshua King's Victorian Poetry undergraduate seminar at Baylor University in Spring 2018. This exhibition, staged at Baylor's Armstrong Browning LIbrary in Fall 2018, combines these digital tools with videos and physical displays of manuscripts and other items. 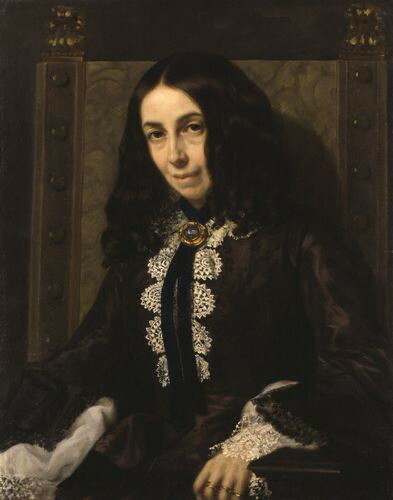 Elizabeth Barrett Browning (born Moulton Barrett), hereafter EBB, was born at Coxhoe Hall in county Durham, England to Edward Barrett Moulton Barrett (father) and his wife Mary (born Graham). 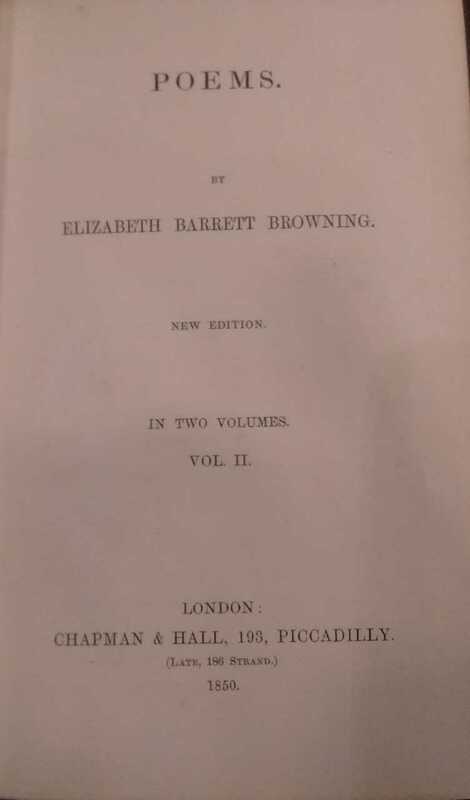 The strange doubling of "Barrett" in her maiden name resulted from an unusual legality regarding family inheritances, but it allowed her to use the initials "EBB" before and after her marrage to Robert Browning in 1846. This Parliamentary act to improve conditions for children working in factories introduced restrictions on children under the age of nine as well as a limit on how many hours the children could work. The act, however, proved inaffective. 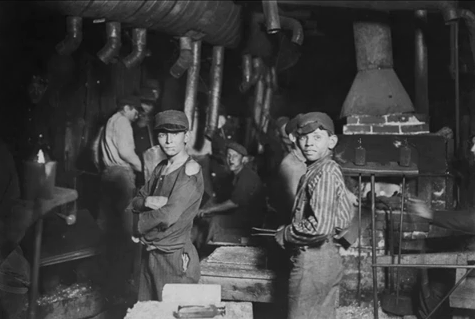 Parliament established the Children's Employment Commission to investigate child labor in mines and factories. In 1842 and 1843 they issued massive reports about the abusive conditions under which children were laboring in these industries. This in part inspired EBB to write her famous poem, "The Cry of the Children," as a sort of call to action to stop the injustices. 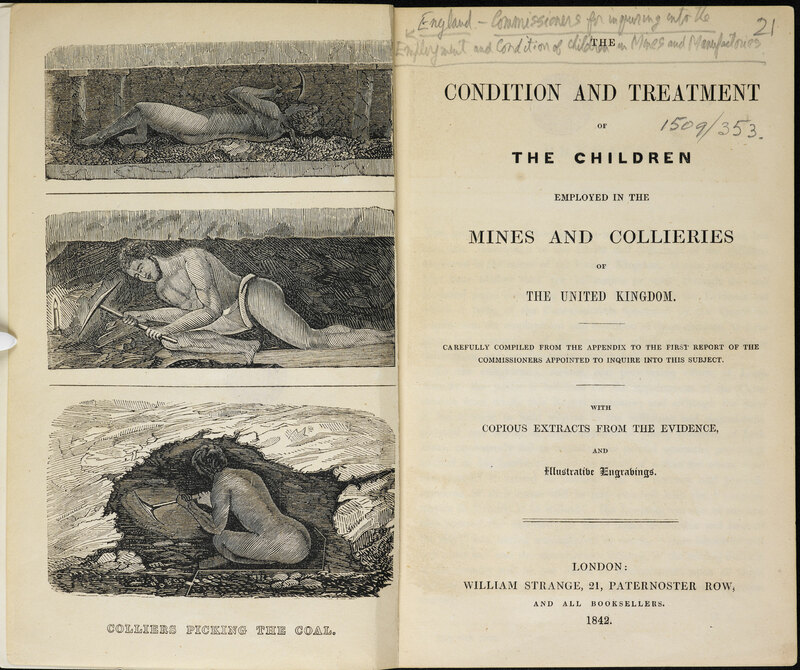 Click here to see two student-created videos about what it was like to be a child working in nineteenth-century British mines and factories. Written several years before EBB's initial publication of "The Cry of the Children" (1843), this poem portrays many groups of oppressed people crying to God to hear their prayers for relief. Among these opressed people were the starving poor. "Cry of the Human" serves as almost a foreshadowing of what is to come in "Cry of the Children." 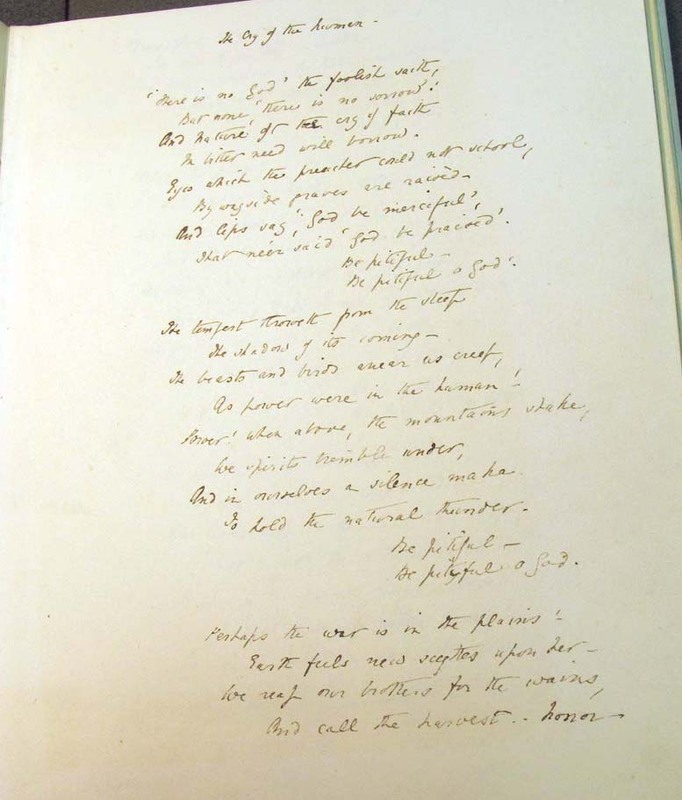 In the image you can see the first page of one of EBB's drafts of "Cry of the Human" (MS D0172), which is held at the Armstrong Browning Library at Baylor University (Waco, Texas). EBB's poem as it was first published in the Blackwood's Edinburgh Magazine. 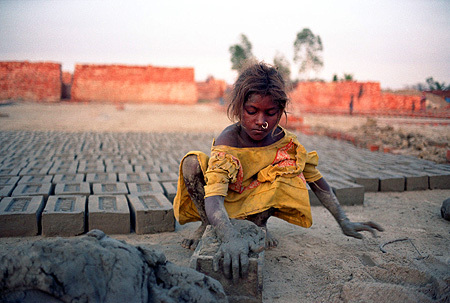 The poem is reflective of the reports that she read about child labor in factories and mines. She wrote this poem in protest of the cruelty that was taking place. First Publication of "The Cry of the Children"
Parliament passed a futher act to try and enforce more rules, because the Factory Act of 1833 proved unsucessful. There were more restrictions on age and hours of work, as well as hours to be set aside for schooling. 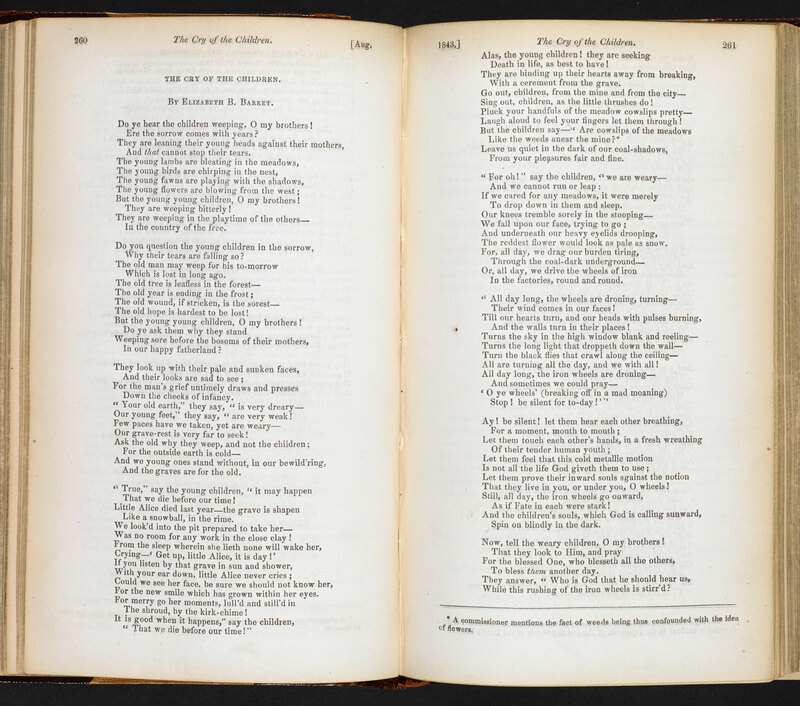 While this act was being debated, Elizabeth Barrett Browning was writing her poem, "The Cry of the Children." 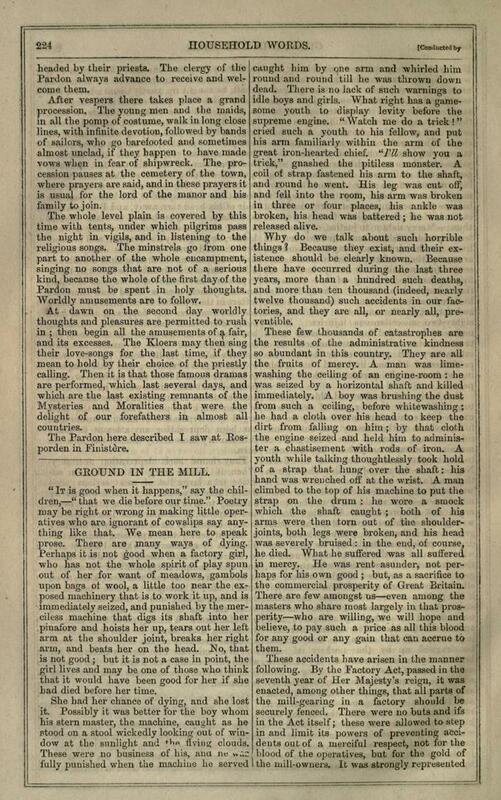 EBB's poem "The Runaway Slave at Pilgrim's Point" was published in The Liberty Bell, which was a compilation of anti-slavery works and poetry. Slavery was a topic that EBB was passionate about, as well as child labor. 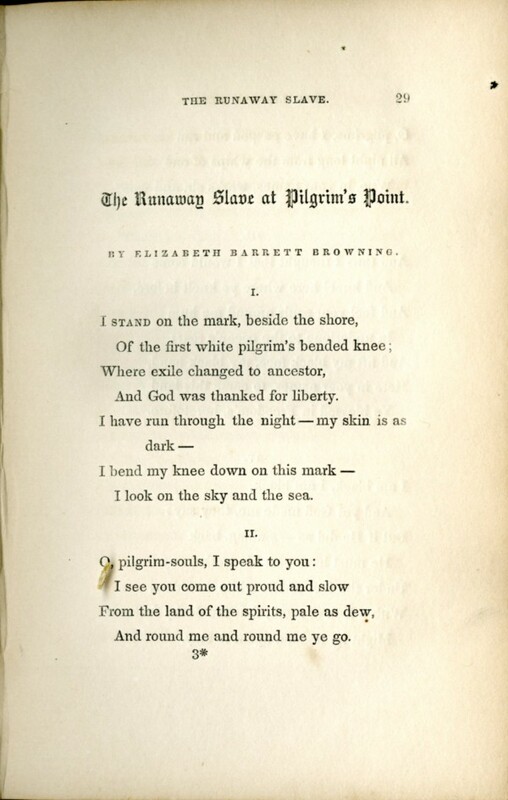 In EBB's new edition of her collected Poems (1850), she positions "The Runaway Slave at Pilgrim's Point" immediately before "The Cry of the Children," which shows her concern for the mistreatment of people, not just where she lives, but all over the world. An article titled "Ground in the Mill" in Household Words, edited by Charles Dickens, highlighted the harsh working environments that went on in factories, specfically with child labor. This article quotes "The Cry of the Children" in support of its criticism of these working conditions. It was published after "The Cry of the Children" and about seven years before EBB passed away. EBB died at the age of fifty-five in Florence, Italy where she was residing. 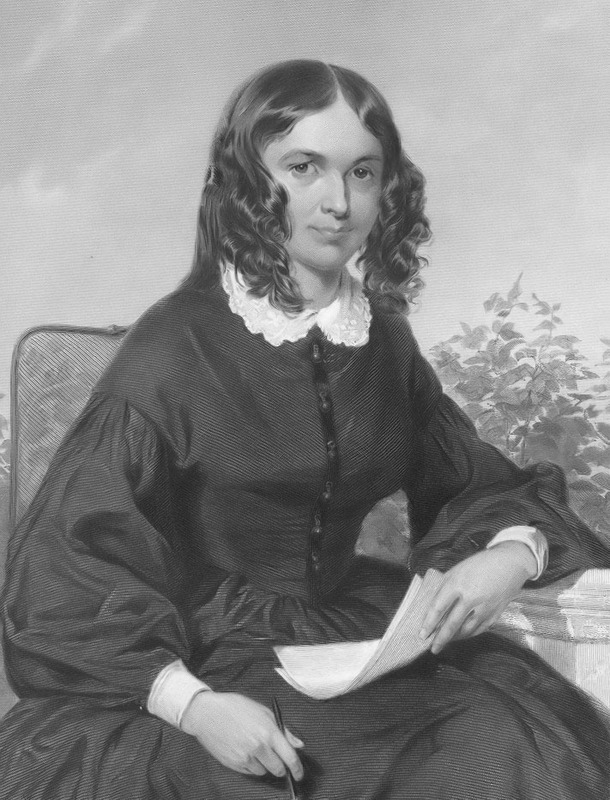 She died of respiratory insufficiency and was outlived by her husband, Robert Browning. This is an example of child labor a little closer to where this timeline on EBB's "Cry of the Children" was created at Baylor University in Waco, Texas. 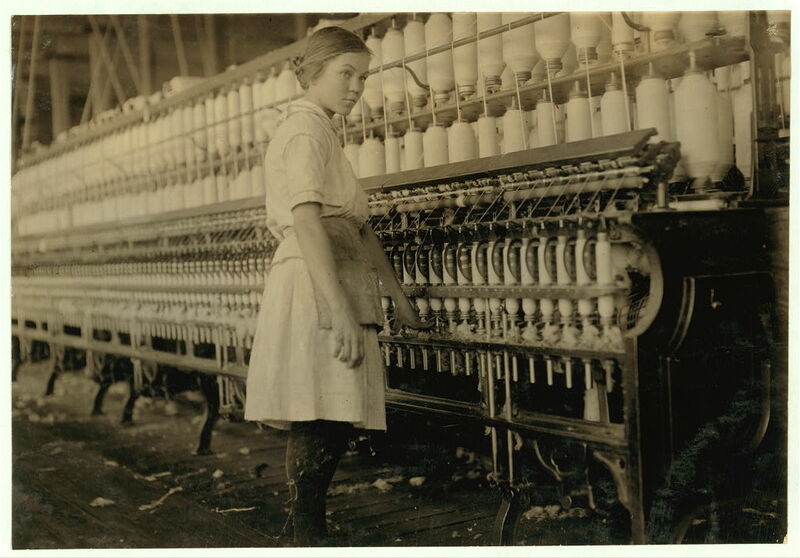 Pictured is a girl who was under the legal age at the time to be working in this cotton mill, which was located right next to Waco in West, Texas. This child from Indonesia is just one of around 152 million children involved in illegal and harmful labor in our world today (United Nations). You may not be able to see child labor in the place that you live, but it is still very prevalent in areas all over the globe.